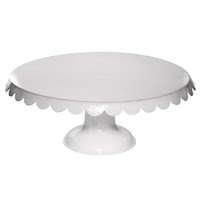 I'm currently crushing on cake stands. I know that some of you are thinking "Whaaaaa?" but seriously, I am. 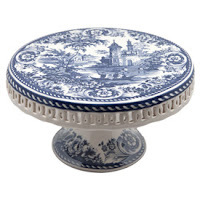 When I think of cake stands, I think of Marie Antoinette, stacks of macarons, beautifully decorated cakes & confections - all displayed prettily on a beautiful stand; some even encased in a protective dome. My obsession, if you will, is all Fishs Eddy's fault. I first read about Fishs Eddy from Joy's Hope Blog & I've been crushing hard ever since. It's kind of a restaurant supply store, but instead of your plain, generic steel pieces, you're treated to unique, colorful fun items. 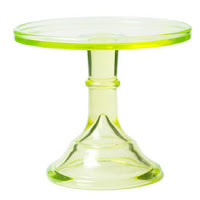 Love that bright blue cake stand! So pretty!